Bordertown is a new animated Fox comedy which follows two families living in a Southwest desert town on the United States-Mexico border and how these two families inevitably cross and are bound by friendship and conflict. In the pilot episode, "The Engagement", border patrol officer Bud Buckwald is furious when he learns that his daughter Becky is engaged to Ernesto Gonzalez's nephew J.C. He is soon delighted when an anti-immigration law is passed that leads to J.C.'s deportation. Firstly, Bordertown is a fantastic idea for a sitcom based on the news stories surrounding immigration in the United States. Television Network executives love to introduce a sense of realism by exploring topical issues to their programming, especially within a TV landscape which is flooded with hundreds of new series each year. 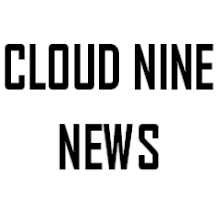 If one series, such as Bordertown, manages to ruffle a few feathers and create discussion amongst the media and the general public, the jobs of the executives are secured at least for another season. But if the first is anything to go by, you may as well not bother tuning in. If you're expecting smart, sharp political satire about immigration, Bordertown is certainly not the place to start your search. There are many aspects within the show which makes Bordertown bad. Whether it's the Archie Bunker type-politically incorrect father figure, Bud Buckwald, whose racist jokes are neither clever or humorous, the West Side Story-type interracial relationship between Becky and J.C. who also happen to be from feuding families (don't expect any enchanting musical numbers here) or the redneck Honey Boo-Boo inspired Gert who, you guessed, has a pet pig called Sprinkles. Bordertown is plagued with the all the quintessential gross humour which is a typical feature of Seth Macfarlane's work. Although Bordertown was created by Family Guy alum Mark Hentemann, MacFarlane's style and humour is rife. 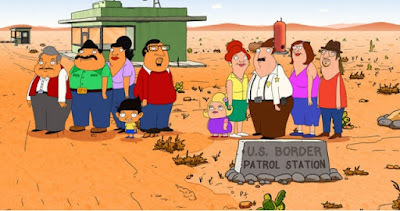 If Bordertown was in the hands of a writer who knew how to satirise racial topics , like Nahnathka Khan (who also happens to have American Dad AKA MacFarlane's best show as a writing credit) successfully did in her hit show Fresh off the boat It's hard not to cringe at the unused/unwanted family guy jokes which are all too evident in Borderown. In fact, it makes one wonder why Bordetown isn't simply a Family Guy episode rather than a complete series which is expected to produce comical episodes for the foreseeable future. Due to its premise, Bordertown will always be surrounded with controversy and discussion regarding whether the topic is suitable for a primetime animated comedy series. While touchy subjects can be inappropriate for comedy, Bordertown's biggest crime is its poor execution of a concept which surely could have led to unorthodox humour.